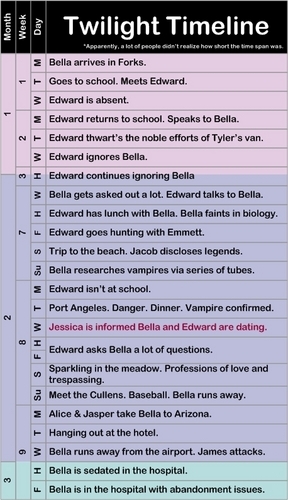 Twilight Timeline. this was đã đăng to illustrate that B&E had only been dating 10 days when Bella woke up in the hospital. Wallpaper and background images in the Critical Analysis of Twilight club tagged: twilight edward cullen bella swan unhealthy relationship forks stephenie meyer.